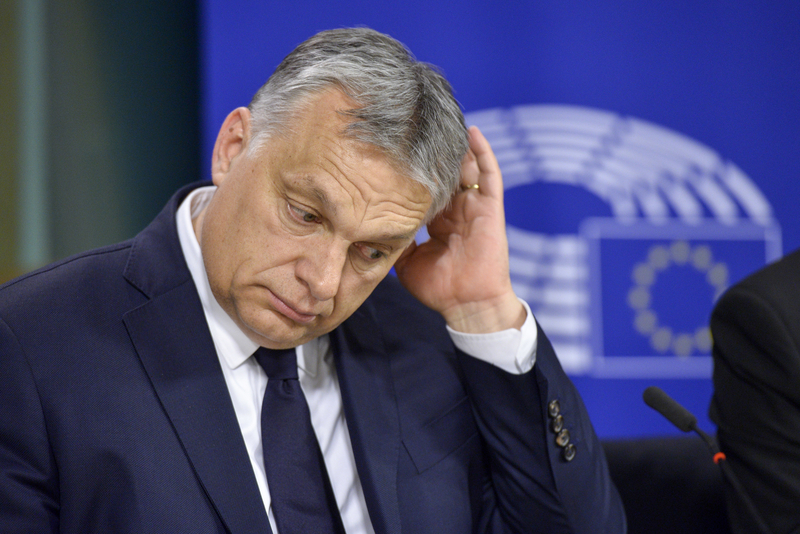 The centre-right European People's Party (EPP) on Wednesday (20 March) suspended its Hungarian member, prime minister Viktor Orban's ruling Fidesz party, and set up a committee to keep the party under surveillance and monitor if Fidesz should be expelled in the future. The suspension was a joint decision of the EPP and Fidesz, according to a text set out by the EPP party's presidency and overwhelmingly adopted by 190 votes against three in the centre-right party's political assembly. 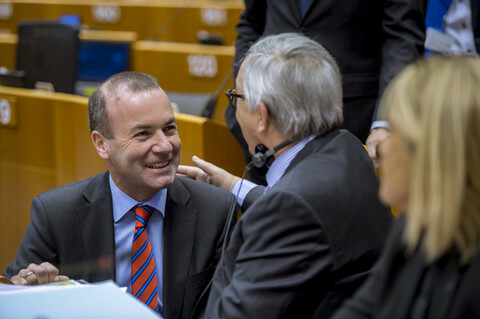 "The EPP decided today to suspend the membership of the Fidesz inside the EPP family," EPP leader Manfred Weber told reporters after the three-hour meeting that he described as "very intensive". "Fidesz will have no say anymore in the future of the EPP political approach," he added. The suspension means that Fidesz, which has been accused of violating EU values, will no longer vote in the party, will not be allowed to participate in meetings, or nominate candidates for party positions. And as an immediate repercussion, Orban will not participate in the traditional gathering of EPP national leaders forum, including chancellor Angela Merkel, ahead of the EU summit on Thursday. EPP also decided to set up an "evaluation committee" which will examine whether Fidesz has fulfilled the conditions set out for the Hungarian party after the European elections. It will be led by former EU council president Herman Van Rompuy, and include former European Parliament president Hans-Gert Pottering and former Austrian prime minister Wolfgang Schussel. Schussel was himself shunned by the EU in 2000 for forming a government coalition with the far-right Freedom party (FPO). 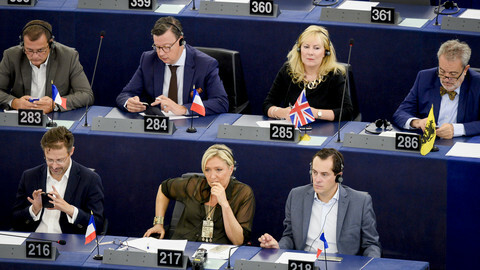 Back then, a three-member committee was set out to investigate the Austrian government and to decide on EU sanctions. 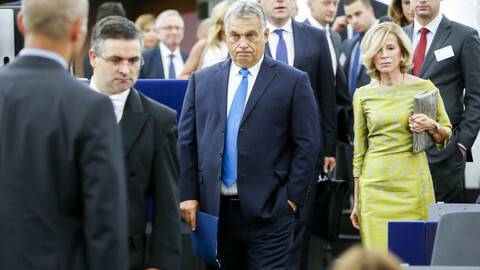 The EPP's conditions for Orban include: withdrawing the government campaign targeting EU commission president Jean-Claude Juncker (a fellow EPP member), refraining from damaging fellow parties' election campaigns, and legal certainty for the Budapest-based Central European University. The committee will also monitor the respect for the rule of law and 'EPP values' that the party adopted last November in a resolution, including on the importance of rule of law, independent media, a vibrant civil society, strong EU institutions, and an independent judiciary. "Exclusion of Fidesz is on the table," Weber added, saying the committee will have the "final judgement" on what to do with Fidesz. Weber, who is the EPP's lead candidate to replace Juncker as commission president, said the decision was not about migration or Christian democracy, despite Orban accusing EPP critics of targeting Hungary for its hardline on migration. During the closed-door debate, Orban accused the 13 parties that called for the expulsion of Fidesz of having "baseless arguments". "I am happy with having them [Fidesz] now in a corner, where the slightest misbehaviour from now on will lead to exclusion," MEP Frank Engel and leader of the Luxembourgish Christian Social People's party said. He had also called for kicking Fidesz out. He added: "I really wonder how they [Fidesz] could accept this, they subject themselves to intense surveillance." 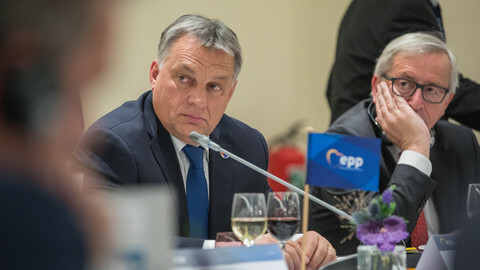 One argument within the EPP is that Orban, for whom EPP membership gives mainstream access and credibility, did not have a strategy ready yet to create a new party alliance, as party parities shift after the European elections in May. 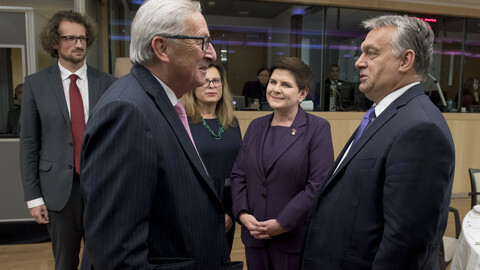 However, the EPP's willingness to take expulsion off the table, for now, was partly motivated by fear that Orban could easily set up a new political party with Poland's ruling Law and Order party led by Jaroslaw Kaczynski and Italy's League of interior minister Matteo Salvini, on an anti-migration platform. The compromise decision allows EPP to keep the party's 'enfant terrible' in check, while unity boosts EPP's image ahead of the May election. EPP and Fidesz jointly decided on the suspension, according to the party's text adopted on Wednesday, giving enough space for Orban tell his voters that the EPP did not force its will on him. "We voluntarily agreed to suspend our participation," Orban told reporters in Brussels after the meeting. As the campaign in the EU elections picks up, Weber also wanted to signal that Orban does not call the shots in the EPP, and that the Hungarian prime minister's plan to push the EPP further to the right is not working. 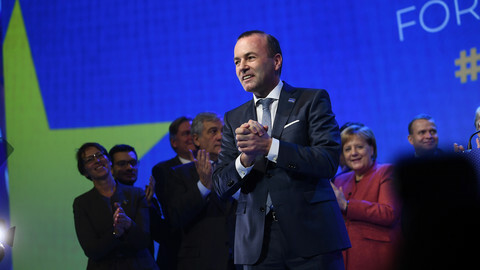 The centre-right EPP party's congress wanted to show unity - but divisions remain after the political alliance lined up behind Germany's Manfred Weber as their 'Spitzenkandidat' ahead of next year's European election. 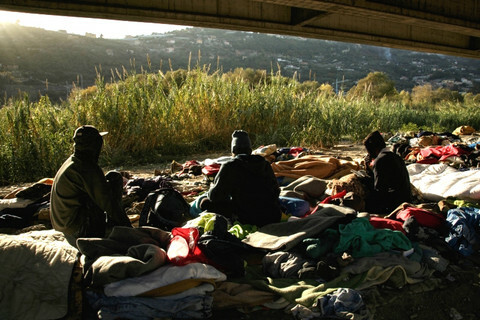 The European Commission has branded the latest campaign by the Hungarian government as 'fake news', after Orban's government accused Juncker of pressing ahead with migration proposals that threaten the country's security. Hungarian prime minister Viktor Orban has pledged to put up new anti-migrant posters - despite hopes in his centre-right EU family that he might "apologise and put an end" to the campaign.